Gardening doesn’t have to be a labor of love. In fact, it doesn’t have to be labor (or at least not much of one) if you do it wisely. There are many ways to make it easier on yourself so that you can enjoy the beauty of your garden without putting in a lot of effort. It’s all about the plants you select and the tools you use. 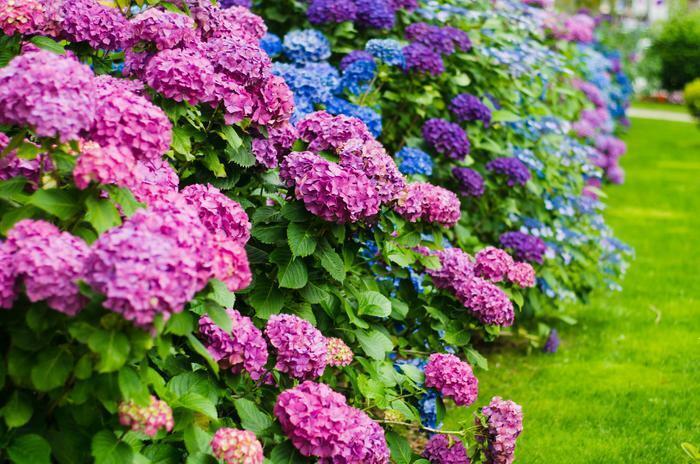 Let’s start with one of the more popular flowers: hydrangeas. Although they’re very beautiful, they can also be water hogs. They are constant bloomers but it takes so much time watering them that they can be taxing on the gardener. Try selecting a different variety that will use half as much water and still bloom and be beautiful. Annuals are fabulous plants to have. They pop up when they are supposed to every year, but you can buy annuals that can thrive in the shade as well. This will save you the trouble of caring for them so much. Be sure to deadhead your annuals as well. Deadheading means removing a plant’s flowers as they fade. On some plants this encourages more blooms. Deadheading not only improves the plant’s appearance, it removes developing seeds. This will save you time in the long run. Plants aren’t like your pets; if they don’t perform, just pull them out and start over with something that is easier to manage or more likely to thrive. Sometimes it just isn’t worth tending to that stubborn plant! Select plants that thrive in your area. Native plants serve a dual purpose: they are easier for you to manage and they are good for the environment. You do not need to water or fertilize them as much and they often attract local pollinators. Mulch is so important for developing plants. It can energize them while reducing water evaporation from the soil. Ground covers also help by making it tough for weeds to grow. They provide a tapestry of foliage and flowers for your garden. Shrubs don’t require a lot of maintenance besides trimming them occasionally. You can cover an area with one woody shrub that would have taken five to seven perennials to fill. But be sure to use perennials to some extent in your garden. They don’t grow as quickly and you won’t need to weed or pull them so much. Work smarter on your garden so that it doesn’t require as much energy. Using raised beds will help by making sure you’re not bending over as much. Utilize tools with larger handles that discourage strong gripping and don’t cause as much pain after use. Soon you’ll have an enviable garden that takes much less work to manage!